Rotary Club of Dublin North - welcome! Please scroll/swipe down through this page to find out more about us, in addition to the pages linked in the menu, top-left. 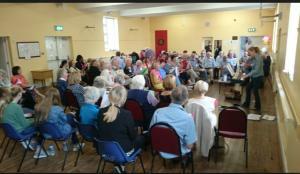 We recently held a coffee morning and raised €2,000 for the Baldoyle based Forget-Me-Nots community choir. 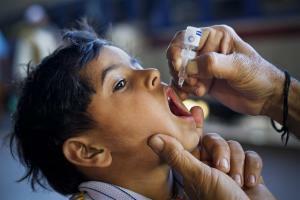 Rotary has been involved in the fight to eradicate polio since 1979. Fighting Words is a creative writing centre established by Roddy Doyle and Sean Love. 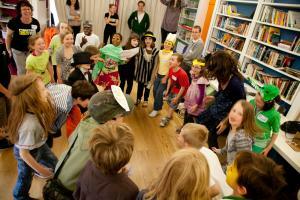 They help students to develop their writing skills and to explore a love of writing. 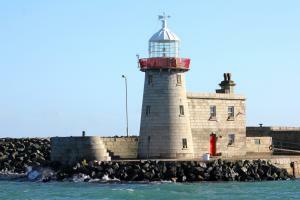 We serve our local communities of Howth, Sutton and Baldoyle. We also support Rotary International with their national and international development projects. Welcome to Dublin North Rotary Club. 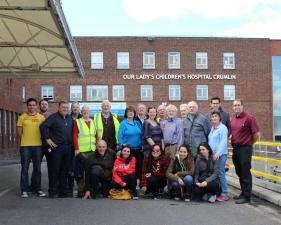 Our club, founded in 1968, has provided a service to the communities of Howth, Sutton and Baldoyle for the past 50 years. We are part of a worldwide organisation of 1.2 million people dedicated to being of service and making a difference. We do this through projects in our own community and by supporting international development projects. We also like to enjoy ourselves and as well as our weekly meeting we organise many social activities. Please explore our website to give you a taste of what we do. You can also drop into the Marine Hotel any Tuesday at lunchtime and ask for us, we'd be delighted to see you!